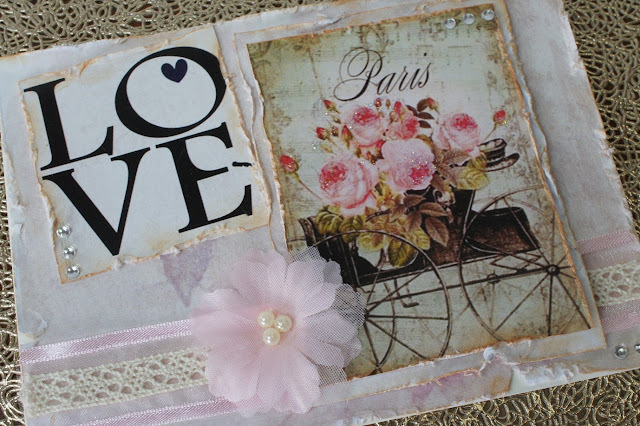 I have created two pretty feminine cards to share with you today. 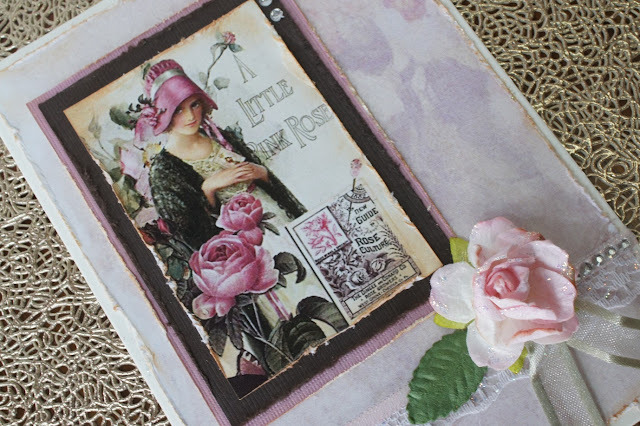 These stunning papers are from the French Roses collection which are now available from Meg's Garden online store. For my first card I chose this background paper with its soft pastel tones of pinks & mauve. I then added a romantic image from a cut & create sheet. 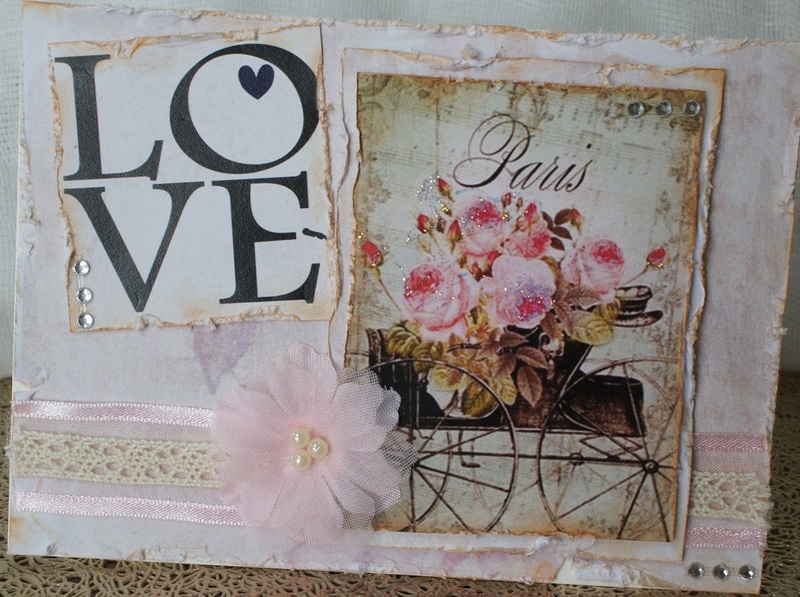 Keeping with soft pinks and a touch of cream I embellished my card with lace, ribbon and a pink flower. Simple layering, some distressing & inking, embellishments and my card was created. For my second card I have matted this lovely image onto layers of coloured card stock. These colours complement this image making it stand out. I then adhered this to the background paper. 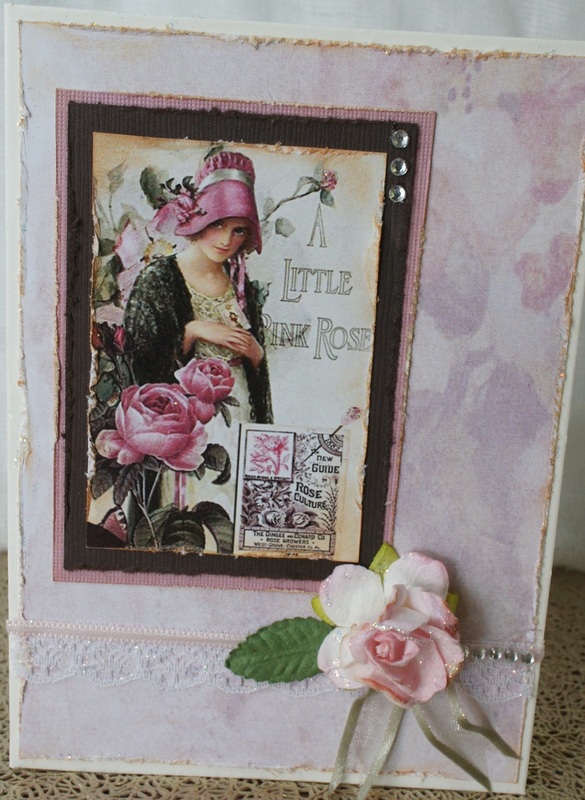 I distressed and inked all papers using Tea Dye distress ink giving that vintage look to my card creations. Embellishments of lace, ribbon, a pink paper rose, a leaf, rhinestones and glitter glue were added to finish this card. Two simple elegant cards that I know your family & friends would love to receive. 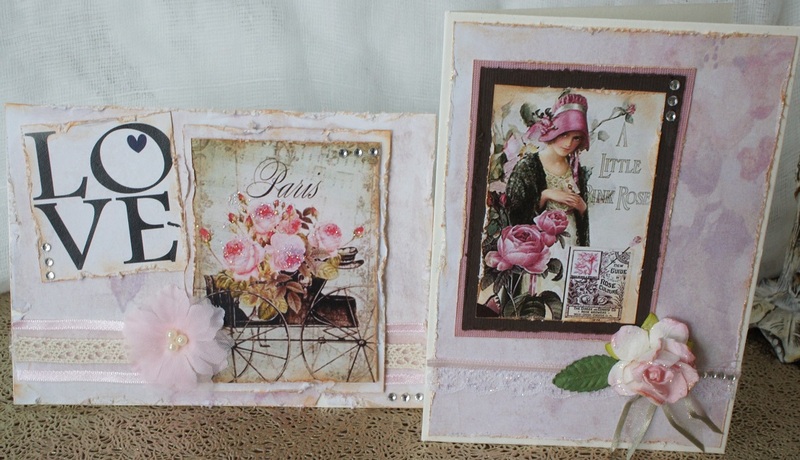 Gorgeous cards Leannne,it really is a beautiful collection and you have showcased it really well! Thank you, Trish. I really do appreciate all of you comments. This is a gorgeous collection of papers. Love the colours & all of the beautiful images.